Princess Mera is teenage royalty and heir to the throne of Xebel, a colony ruled by the other no-so-lost land under the sea, Atlantis. Her father, his court, and the entire kingdom are expecting her to marry and introduce a new king. But Mera is destined to wear a different crown.... When the Xebellian military plots to overthrow Atlantis and break free of its oppressive regime, Mera seizes the opportunity to take control of her own destiny by assassinating Arthur Curry-the long-lost prince and heir to the kingdom of Atlantis. But her mission gets sidetracked when Mera and Arthur unexpectedly fall in love. Will Arthur Curry be the king at Mera's side, or will he die under her blade as she attempts to free her people from persecution? An astonishing story that explores duty, love, heroism, and freedom...all through the eyes of readers' favorite undersea royalty. 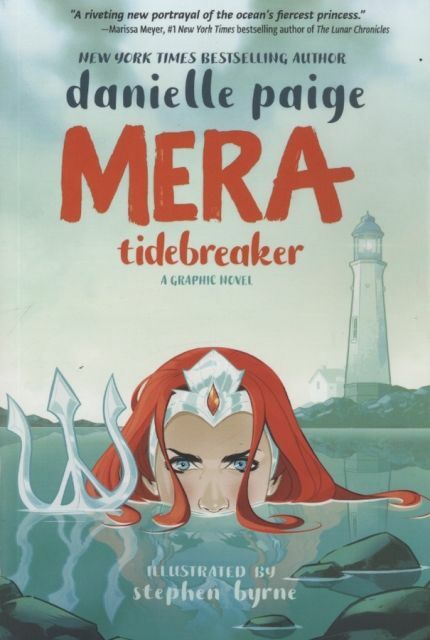 From New York Times best-selling author Danielle Paige (Dorothy Must Die) and artist Stephen Byrne comes a Mera -and-Aquaman story that explores Mera's first steps on land, and her first steps as a hero or villain, forcing her to choose to follow her heart or her mission to kill.